Sanmina’s mechanical design and modeling experience includes products at the component, module, circuit card and system level. Our rigorous mechanical design, analysis and modeling methodology focuses on the interactions of material technologies, physical design, and manufacturing process to predict and optimize the product performance, reliability, manufacturability and cost. Design and modeling support the development process as a project moves from mechanical concept and detailed physical design to detailed design analysis. 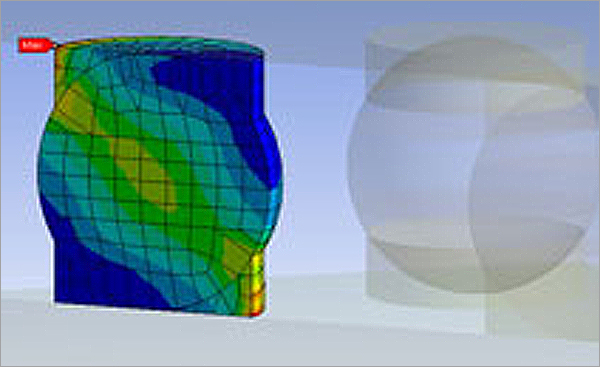 Design is performed in state-of-the-art software such as Pro/ENGINEER, SolidWorks and AutoCAD and is used in conjunction with FEA and CFD analytical tools such as Ansys and FloTHERM. There are many potential design challenges that would benefit from detailed mechanical modeling and analysis. The following examples simply illustrate a few of the more popular scenarios. New products can present unique challenges to achieving quality products for volume production. At Sanmina, we use 3D design tools and techniques to optimize for cost and manufacturing. Combining statistical tolerance analysis with practical design enables high-yield mechanical assembly. And our customers benefit from a reliable source of quality, volume manufacturing. The constant drive to smaller and more integrated circuit packaging imposes significant mechanical challenges. New designs call for higher-powered ICs to meet performance objectives. The resultant high-heat flux demands outstanding thermal management solutions. Our mechanical designers carefully select thermal management materials optimized for both structural and thermal performance without sacrificing manufacturability. Detailed 3D models driven by our thermal modeling tool help confirm that our designs exceed the required performance and reliability specifications. And our customers benefit from the inherent, long-term reliability and performance we design into each one of our products. Designing for reliability requires talent, tools and a fundamental understanding of modern material technologies. More densely packaged and higher-powered components demand extensive 3D analysis of complex materials configurations and any related constraints. Increasingly important is a thorough solder joint reliability modeling to predict reliability and fatigue life of these more complex designs. This evaluation of material technologies is critical to meeting performance, cost and reliability requirements. And our customers benefit from knowing we are a trusted partner.